The first derby weekend is here for the city of Manchester in the 2018/19 Premier League. 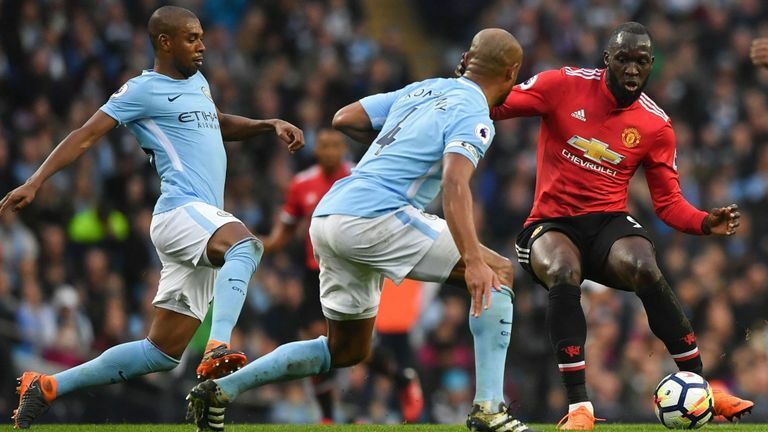 Man City vs Man United is always a hot fixture for dedicated fans and neutrals alike, but this one is looking particularly tasty. And we'll tell you how to watch – even if you're outside the UK. To the hosts first of all. The current Premier League champions have carried their dominant form of their title winning season into this one. Even with Kevin De Bruyne sidelined through injury, Manchester City boast a ridiculously star-studded first eleven: Aguero, Sterling, Silva (x2), Mahrez, Sane, Ederson. Need we go on. And their championship defence has gone to plan thus far, without a single league loss to their name. Before last Wednesday most people would have agreed that Manchester United's season so far has been a bit of a bust. But that last minute win against Juventus and Mourinho's post-match antics suggest a turning of the tide. Juan Mata and Marouane Fellaini were the unlikely heroes that night, but the Red Devils will need the likes of Paul Pogba and Romelu Lukaku to step up to the plate if they want to embarass their cross-town enemies. The action takes place today at the Etihad Stadium, with kick-off at 4.30pm GMT (so 5.30pm in mainland Europe, 11.30am ET, 9.30am PT). This one's on Sky in the UK, and we'll let you know how to live stream Man City vs Man United in the Premier League from absolutely anywhere. Once it's been downloaded and installed, open the app and select a UK server location - it's super easy to do. It's Sky Sports for this Premier League encounter in the UK - one of its 126 live games this season. It's the second match of a Super Sunday double-header that starts at 2pm GMT on the Main Event channel with Chelsea vs Everton. That also means you can catch it on the Sky Go app, if you're away from TV and watching on your smartphone or tablet, or get access to it with a NOW TV Sports Pass - it's £7.99 for the day, £12.99 for the week or a discounted £20 for the next four months. NBC is the official Premier League broadcaster in the US, with the likes of Fubo and Sling TV all offering shorter subscription services if you don't want to commit to cable. They have free trials as well, so you could be watching the Manchester derby for free if you haven't used them before.